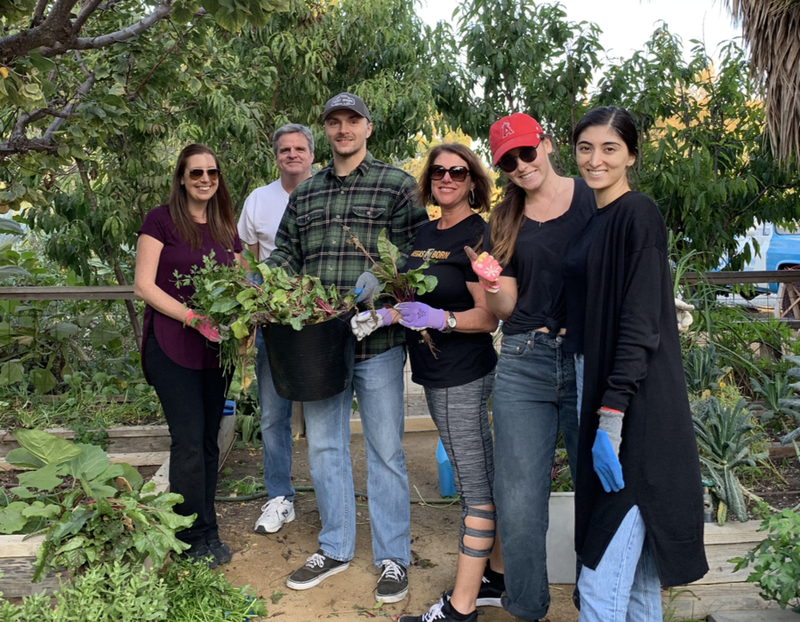 10Fold’s Orange County office honored the company’s month of charitable work by volunteering at the local Ecology Center, an educational non-profit located in the historic Congdon Farmhouse in San Juan Capistrano, California. The Ecology Center creates a pathway towards more conscious consumption for our community, by inspiring and empowering practical solutions that positively impact our shared environment. This includes creating an eco-friendly future that supports building a hub for ecological agriculture and growing healthy, local food that is not only beneficial to wildlife but also supports our local economy and community. The Ecology Center promotes environmental awareness throughits four core initiatives: grow, water, eat, and make. First, to grow a thriving ecosystem made up of gardens and resources that can nourish ourcommunity. Second, to advocate less water consumption. Third, to eat withintention by changing how we harvest, respect, and share food. Lastly, to makeand buy goods from nearby artisans in order to support our local economy. We spent the afternoon getting our hands dirty pulling beets and parsley out from the gardens to supply the non-profits’ farm stand that sells everyday organic fruits and vegetables. We also watered all garden containers and cleared the courtyard pathways to prepare for the organization’s Open House, which takes place on the first Saturday of every month. This volunteer opportunity opened our eyes to all that goes into creating an environmentally friendly and sustainable ecosystem. Our thanks to the staff at the Ecology Center who welcomed 10Fold with open arms, and allowed us to receive a hands-on experience gardening and contributing to building the resources that support our local community – a long way from our usual desk jobs!